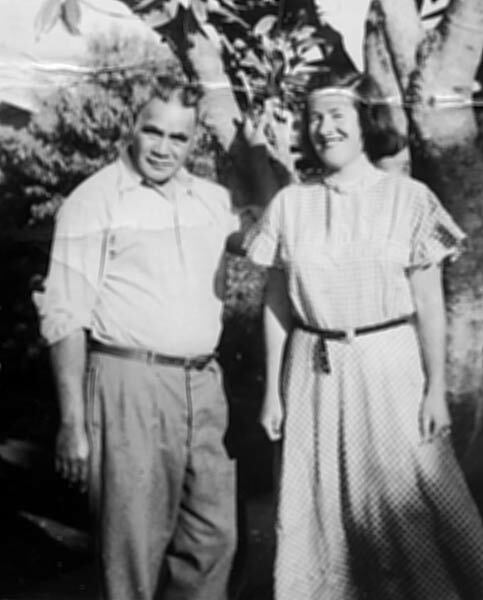 Jean McCormack, whom Hone Tuwhare married in 1949, is pictured here with Hone’s father Pene Tuwhare. Hone met Jean through the Left Book Club, for which she worked. Both their families opposed the idea of their marriage, but later became reconciled to the fact.